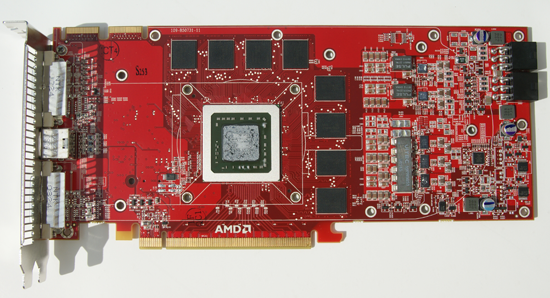 With the launch of the Radeon HD 4870, AMD showed us that they are not only still in the game, but they are back. Their hardware either out performed or was on par with NVIDIA hardware priced significantly higher. As a result, NVIDIA was forced to significantly adjust their prices downward to remain competitive. And, currently, they are competitive in terms of pricing and performance. But in this business competitive isn't always good enough. AMD came out of the gate swinging for a knock out. And they did a good job of winning a significant amount of mindshare. They built a good product and priced it very aggressively at launch. While our concern is the current state of things, and our recommendation will be for the part that gives our reader the best value, that's not how every graphics card enthusiast sees it. The things companies do (like initially selling their hardware at way too high a price) can significantly affect the position of some enthusiasts. That might be one reason NVIDIA went down the core 216 path with the GTX 260. A name more like GTX 265 would have been nice, and we already talked about how much we don't need dozens of parts all with slight tweaks and price differences cluttering up the market. But, the core 216 did help make NVIDIA's hardware more competitive (even if it didn't put it over the top). And more competitive is a good thing. Better competition does nothing but benefit the consumer, and we love to see it. If NVIDIA took that step because they want to win back some mindshare then that's fine with us. All we care about is what performs best in a price class, because that is what benefits our readers. Of course, the core 216 might also have been anticipating the eventual availability of the Radeon 4870 1GB. In which case, the core 216 falls short. Well, it isn't just that the GTX 260 falls a little short. The fact is that the extra RAM really does make a significant difference in many high quality high resolution situations when playing current games. We didn't expect the gains we see here, and combined with the original stellar performance of the Radeon HD 4870, we have to say that we are impressed. The Radeon HD 4870 1GB has the same number of GDDR5 chips on board, but the devices on the 1GB model are double the density of the 512MB part. Yes, these are different parts. The top one is the 512MB version and the bottom one is the 1GB. The 512MB card we have uses Qimonda GDDR5, while the 1GB model we tested has Hynix devices. As GDDR5 is still pretty new, it is likely that the delay in getting out the 1GB model of the 4870 had to do with delays in getting a high enough supply of high density RAM. Anyway, we mentioned that the GTX 260 core 216 doesn't quite keep up now that the 4870 has twice as much RAM. Let's take a look ath exactly how short it falls, first in terms of how much performance we gain over the original model and then in absolute terms. I wonder how many gamers got a 30" TFT? Like 0,3 % of the community? So how interesting do you think would be the 2560 x 1600 resolution to your readers? How about featuring some useful resolutions like 1650 x 1080 or 1920 x 1200? (Not that it ever showed much difference in such a comparison). Then again, when you look at the figures just one game is showing some real gains anyways because it´s not really an improvement to be playing Crysis with 33 instead of 30 fps.... even more since this is most likely an average figure. Not to mention that the improvement is most likely coming from a higher gpu/memory clock rather than from the quantity of the memory). I wish people would stop mouthing off these truisms as if they were the only way to look at the situation. Consider that the real world is a physical place, competition does not always bring benefits. Take a look at game console development -three radically different development platforms, which makes it a royal PITA to cross platform a game that doesn't have sufficient hardware power, and what about all the reduplication with joysticks and mice? A lot of waste goes on. The idea that competition "always benefit the consumer" is nonsense, I can name hundreds of negative externalities because of competition and ridiculous amounts of redundant items and work that merely clogs up the market. The 4870 1Gb version does beat the 280gtx in 3 out of 6 games at 2560 res.at 1920 res. it beats the 280gtx in 4 out of 6 and matches it in the witcher. Like some of the other posts above, I wouldn't mind having an older tech, mid-level card (1 to 3 generations back) thrown in as a reference point. This is all well and good for those who have a $300 graphics card budget, but those of us who shop in the sub-$200 range are left scratching our heads a bit. The 1GB 4850 variant has been in stores for weeks now, but none of the major hardware sites have reviewed one. Newegg has five models in stock; have none of the manufacturers sent review samples to you guys?